With one of the finest support staff in town, we are proud to feature each of them. Please navigate through each with the menu listed to your left. These women are so welcoming to our clients when they enter the hospital. Each one of them feel like our clients are extended family members. Their role in the hospital is more then greeting our clients. They are answering over 500 phone calls per day and getting the calls to the doctors, techs or the office manager. They receive all of the medical records that we have coming in from other veterinary offices. The are accountants handing the money and balancing the days report. It is amazing to walk into the lobby and hear them greeting the clients by name and knowing their pets name and not even looking at the computer. They take pride in treating you and your pet as one of their own. Please take time to let them know how much you appreciate them as you come and visit our hospital. 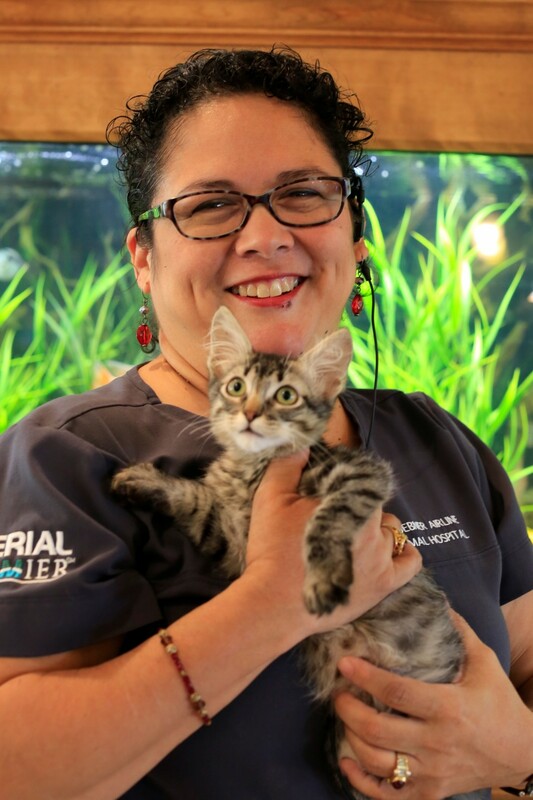 The doctors at Stuebner Airline Veterinary hospital have always said that the staff is the heartbeat of the practice and we are extremely proud of our entire staff. I am Judy Whitham and I have been with Stuebner Airline Veterinary Hospital since 2005. When I initially interviewed I was told how long several employees had been here and I knew this must be a great place to work. I have been so amazed by all the Doctors kindness and generosity. This is the practice I always wished for my own pets but had never found. I am happily married to my wonderful husband Phil and have two adult boys and several furry kids. I so enjoy all of my clients and love assisting them and their pets. I have been working in the veterinary field for over 20 years. I started working at a singe doctor practice until the veterinarian retired. I have enjoyed working with the Doctors and Staff at Stuebner Airline Vet Hospital since January 2014. I have been married to my wonderful husband Tommy for 42 years. We have two adult children, 7 grandchildren and 7 fur babies. In my free time I enjoy traveling to see the grandchildren and just being at home with my family.